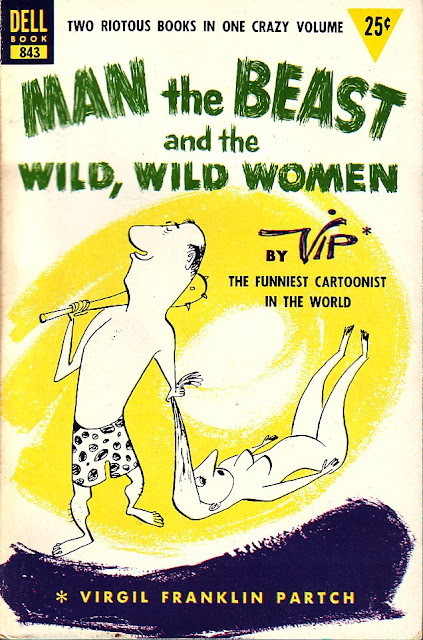 Here's a 1953 Dell paperback, reprinting two books in one: MAN THE BEAST AND THE WILD, WILD WOMEN by Virgil VIP Partch. 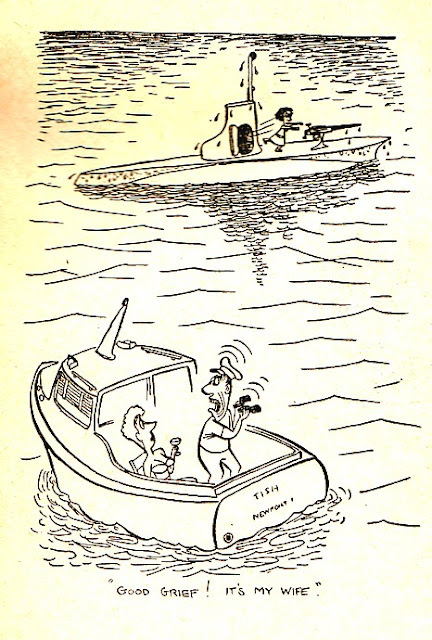 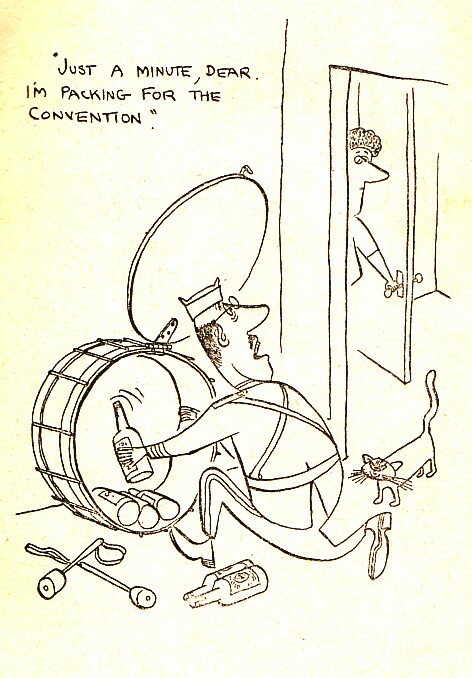 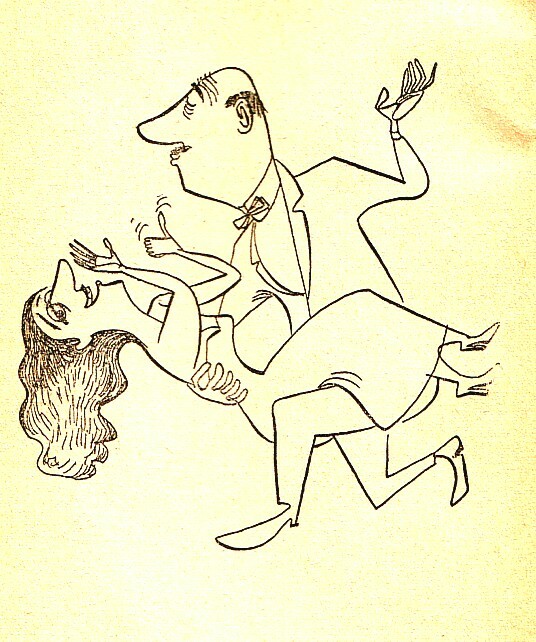 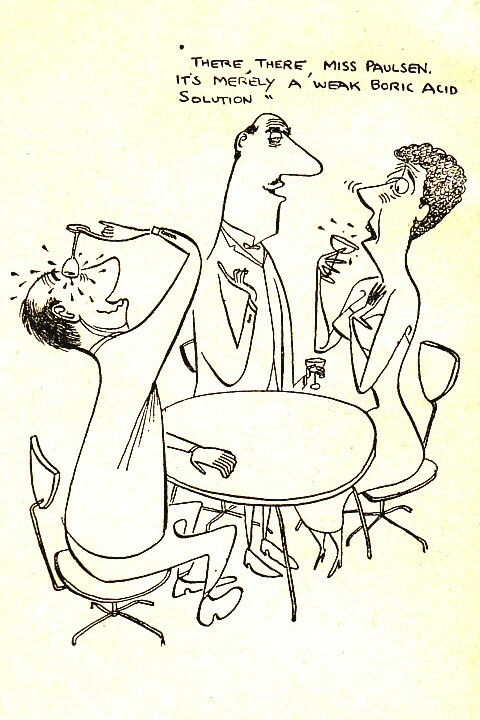 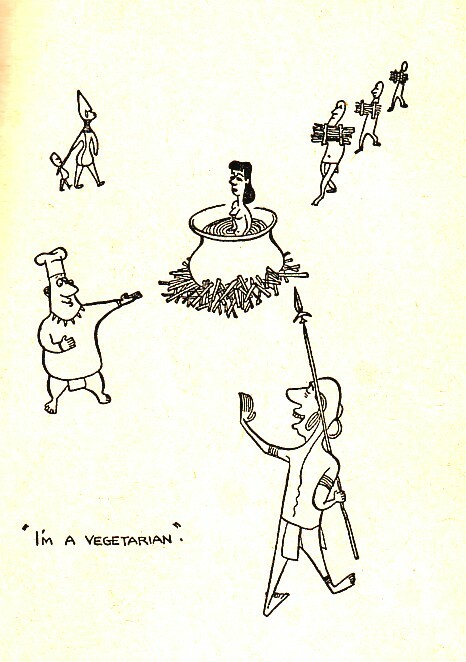 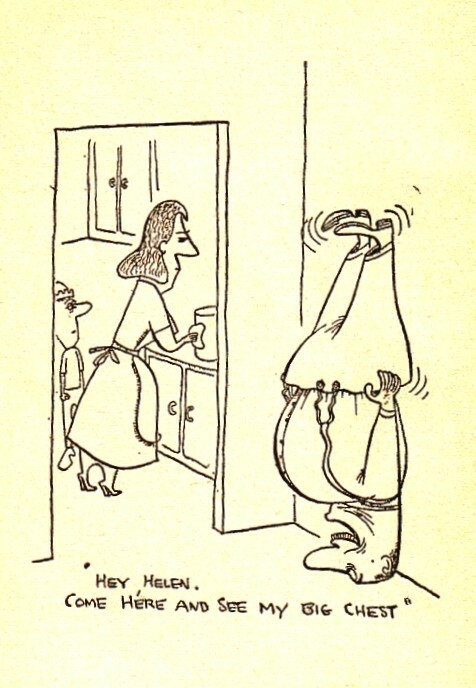 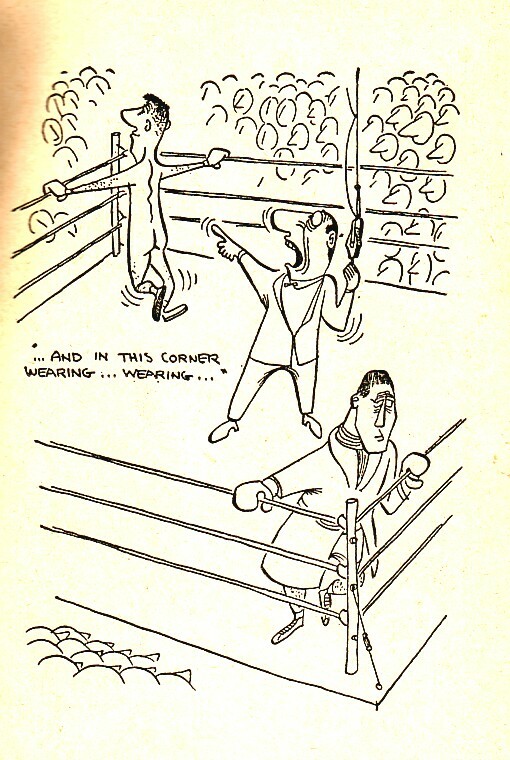 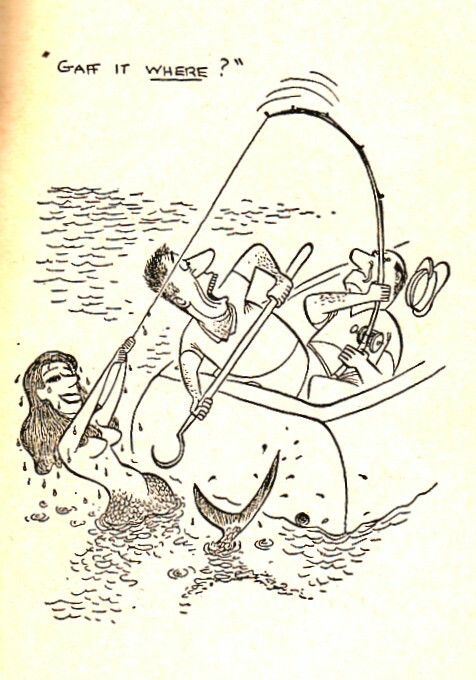 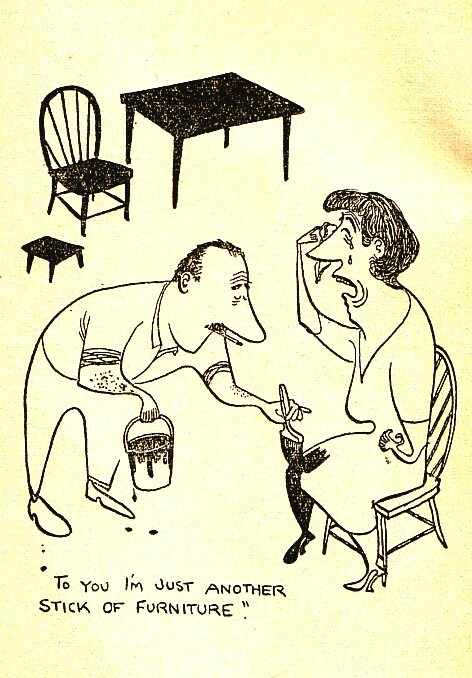 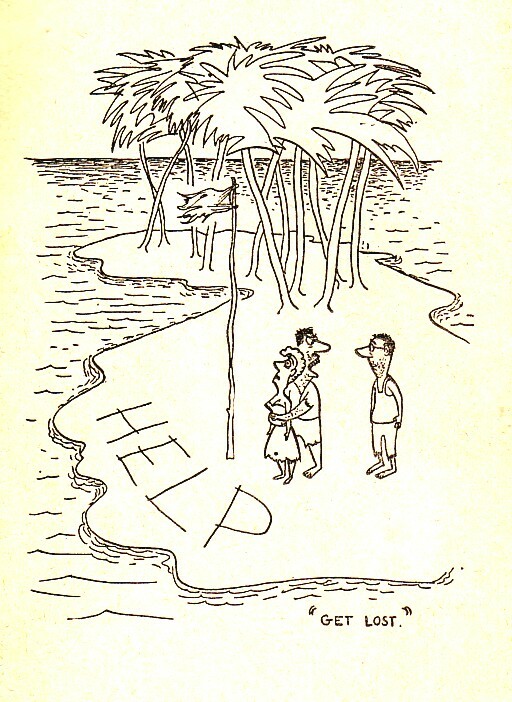 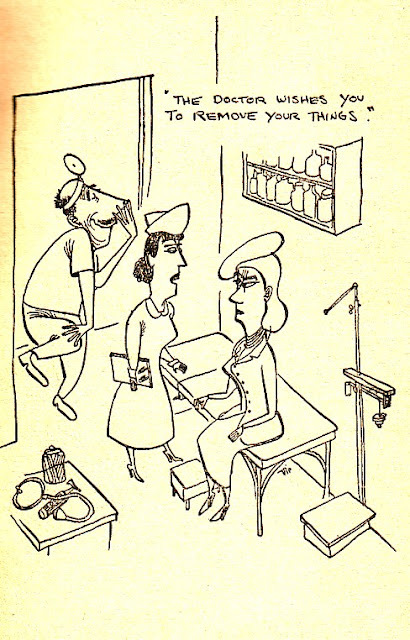 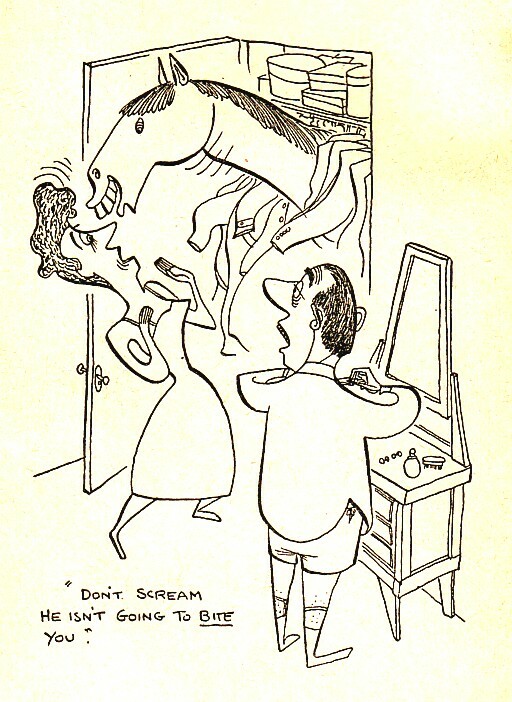 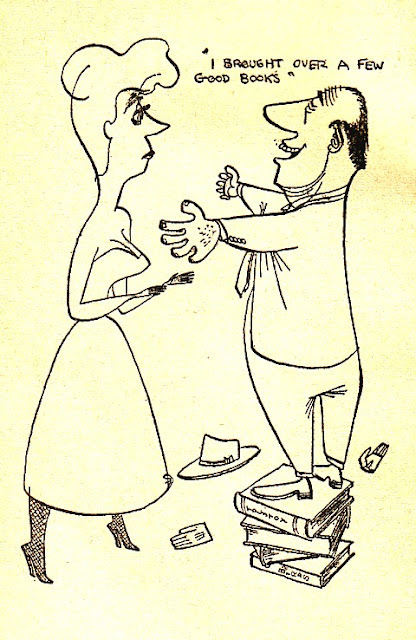 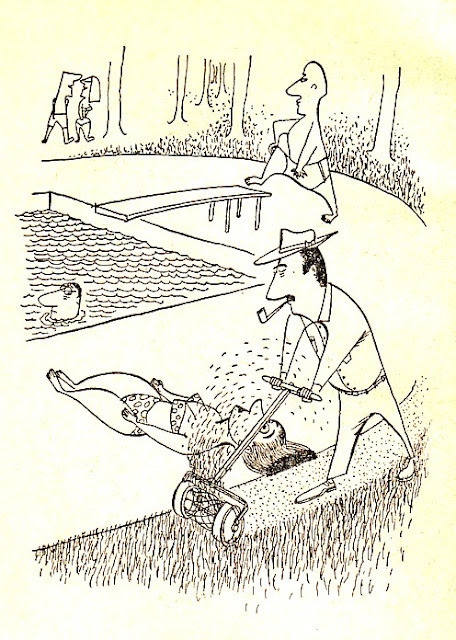 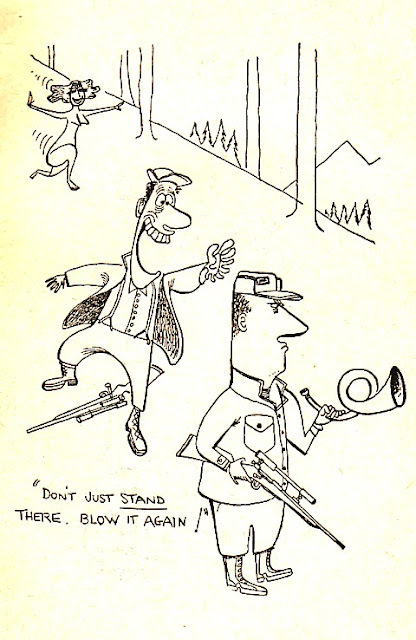 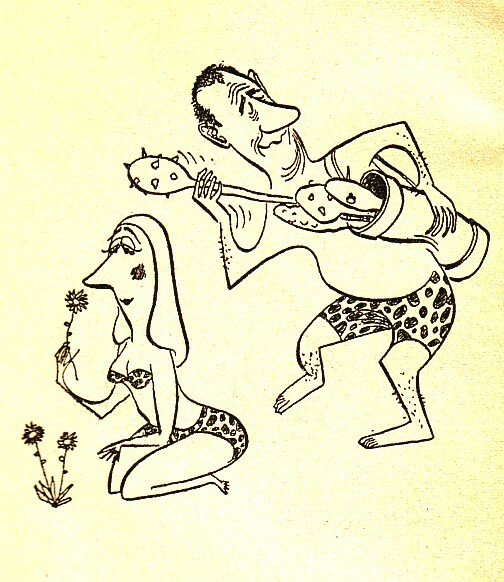 It's copyright 1951, 1953 by Virgil Franklin Partch, II, "the funniest cartoonist in the world." Dell marketing department hyperbole may have not exaggerated. 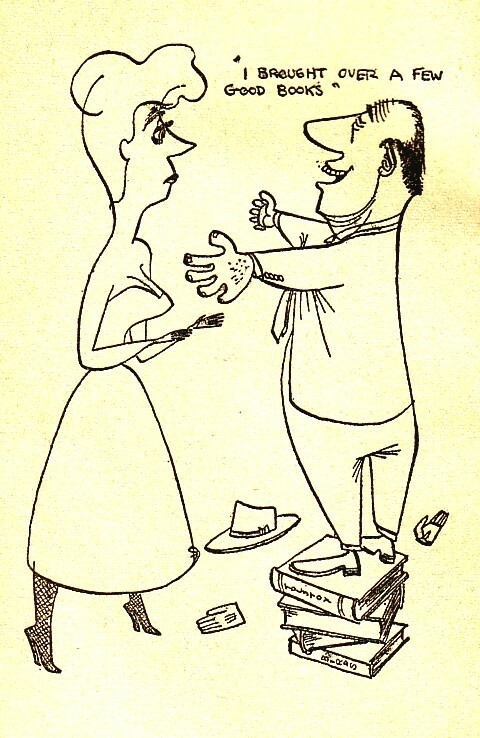 It's over a half century later, and lovers of Partch are all over the place. 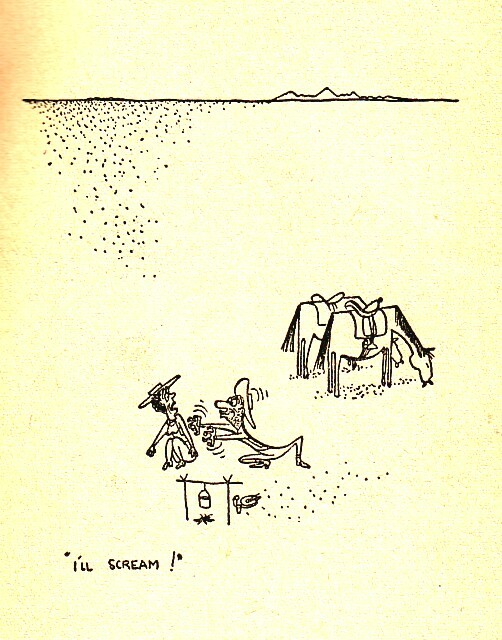 Partch, like other beloved cartoonists Booth and Addams (to name just two), created a whole comic world of blue collar bars, desperate passion-driven cavemen, absurd visual puns, scheming libidinous suitors, and a good helping of guys-crawling-in-the-desert and desert island gags. This is a thick paperback of his 1950s gag cartoons. 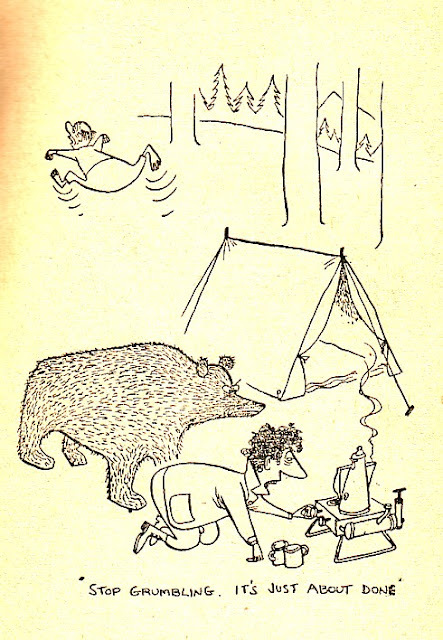 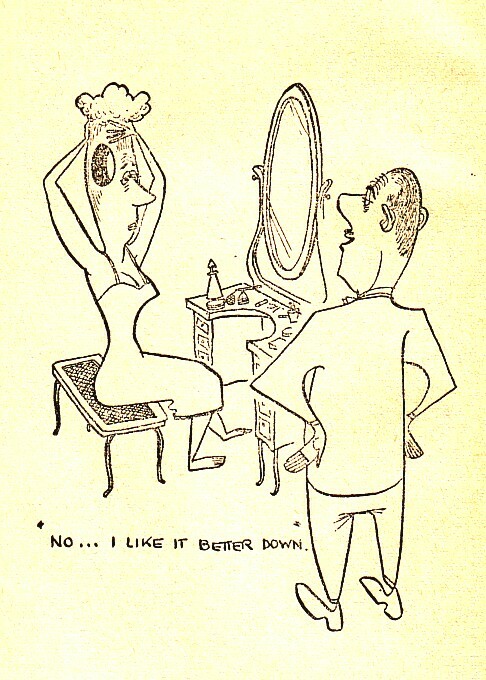 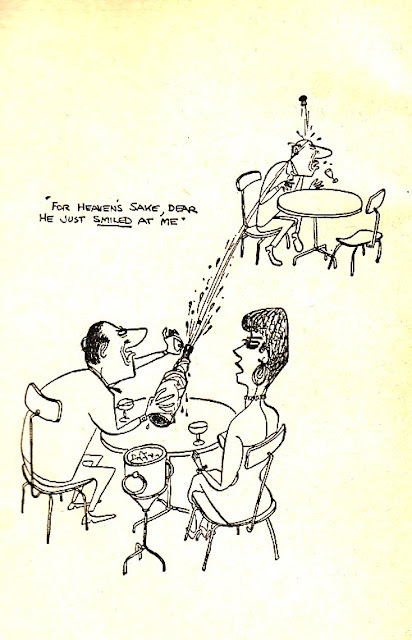 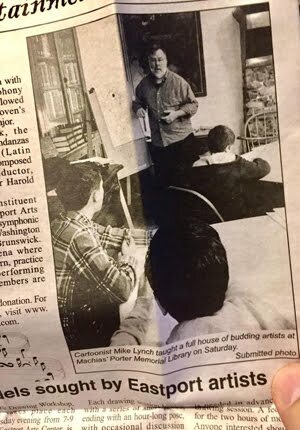 It looks to be published from his actual cartoons with NO typeset caption, just his hand-written gag line. 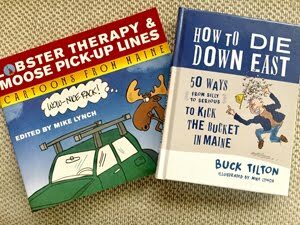 My guess is that these are all cartoons that TRUE Magazine (and his other major markets) did not buy. 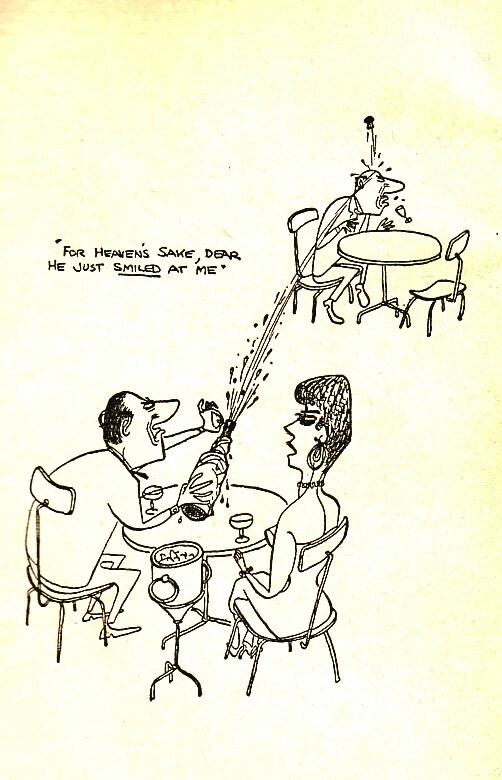 -- From an April 13, 2012 blog entry.